Delphish deletes phishing,malware and spam - Technology by SaferSurf Protects your computer against phishing, malware and spam. 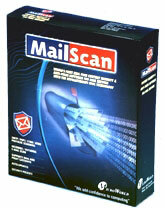 SaferSurf operates the fetching of e-mails and inspects all data transferred between your computer and your mailbox. phishing e-mails, spam and e-mails containing malware are blocked before they reach your computer. The filtering is done centrally on the safersurf server. Mailware and unwanted e-mails do never get in touch with your computer. Clicking on spam or malware can no longer happen accidently. The filters, detecting phishing or spam, as well as the anti-virus software are maintained and updated on the SaferSurf server. New viruses are detected immediately. The filtering of spam e-mails happens individually and not by using a anonymous blocking list which could never regard your personal needs. The self evolving phishing-filter stops phishing attacks when the first e-mail of the attack is found. This site does not contain serial number, crack, keygen Delphish - Technology by SaferSurf serial number : serial number is the simplest type of crack. A serial number(cdkey,product key,etc) is register the program as you may already know. a crack or keygen may contain harmful software. If you cannot find the exact version you want, just give it a try. for more information read .nfo/.txt/.diz file include in zipped file.